To gauge the implications of modern photograph editing software on perception, this research assessed whether attractiveness and personality traits of persons within photographs are perceived differently if specific aspects of the photographs are enhanced through Photoshop. This study focused on the individual effects of the most commonly manipulated photograph elements – brightness, contrast, and hue saturation. A one-way between-subjects design with six dependent variables was implemented. Sixty introductory psychology students (14 men, 43 women, and three others who chose not to disclose their gender) at Connecticut College were randomly assigned to one of four conditions. They used a rating scale to assess persons in 10 photographs on attractiveness and used the shortened Big Five Inventory (BFI-10) to assess them on five personality traits. People exposed to the enhanced brightness condition rated photograph subjects as significantly less attractive than did those exposed to the enhanced contrast, p = .040, and hue conditions, p = .016. The difference in ratings of attractiveness in photographs with no manipulation and photographs with only hue manipulation only approached significance, p = .086. There were no differences in personality perception between conditions. Photoshop technologies impact perception of attractiveness, a finding that may be of use to photographers. However, more intensive research must be conducted to assess the impact of manipulation of photographic elements on judgments of personality. In relation to past experiments that only observed the impact of familiarity on verbal recall or the impact of the word length effect on verbal recall, the current study investigated the influence of both familiarity and the word length effect on verbal recall. 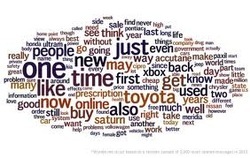 A series of word list recordings were administered to student volunteers from Connecticut College, mainly white female juniors with an average age of 20, which assessed their ability to verbally recall either short and long familiar words or short and long unfamiliar words. Comparing results from the two conditions, it was found that participants were able to recall familiar words better than unfamiliar words as well as were able to recall short words better than long words. As such, the two hypotheses of this study were supported. Some college campuses across America require students to volunteer in order to receive class credit. This growing trend appears to contradict the idea that volunteerism is a non-obligatory action. Thus, requiring students to volunteer may result in decreased internal benefits of volunteerism. 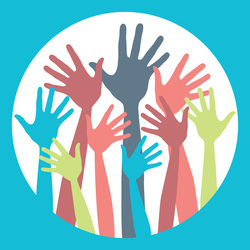 Outcomes and motivations of volunteerism were examined between students who do not volunteer, students who are required to volunteer, and non-required volunteers in introductory psychology courses. An online survey was used to measure motivations and outcomes of volunteers, agency, and self-esteem. Findings revealed that individuals that chose to volunteer report not only being motivated to volunteer for protective and enhancement purposes, but also to achieve these goals more so than non-volunteers. This suggests that volunteering may produce internal benefits and that requiring students to volunteer does not reduce benefits. The cultural differences in dialectical thought are well-established. 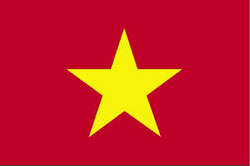 Observed language differences between Vietnamese and English appear to parallel these cultural differences in perception. The perception of the prevalence, severity, and justification of academic dishonesty was assessed in an honor code environment. In a betweenparticipants design of 119 undergraduate students and 44 faculty members from Connecticut College, participants were asked to rate 37 dishonest behaviors in terms of how prevalent and how severe they thought they were. In addition, participants were asked to rate 19 justifications for cheating. Factor analysis distillation yielded a normal and an extreme category for both prevalence and severity and a grade/career-oriented and a situational category for justification. Statistical analyses indicated that, compared to students, faculty estimated a lower prevalence of academic dishonesty (p = .003 for the normal category). Moreover, faculty considered dishonest behaviors to be more severe than students did (p = .008 for the extreme category and p < .001 for the normal category). Lastly, students reported academically dishonest behaviors to be more justifiable than did faculty (p < .001 for both the grade/career-oriented and situational categories). 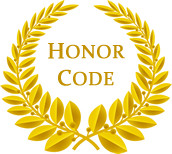 Results imply a need for a reevaluation of how the honor code is generally used across colleges in the United States. This study investigates participants’ perceptions of the personalities of cardinal and relational direction-givers. Participants were Connecticut College undergraduate students, most of whom were Caucasian women. Participants were exposed to either cardinal or relational directions and then given questionnaires to assess their perceptions of the direction-giver on subscales from the Big Five Inventory and the Perfectionism Inventory. Results showed that cardinal direction-givers were rated lower in levels of Openness and higher in levels of Perfectionism, but were not rated differently in levels of Conscientiousness or Extraversion, than were relational direction-givers. The results also showed that relational directions were judged to be more helpful than were cardinal directions. The research indicates that people make judgments about others’ personalities based on the directions they give, and that relational directions are judged to be more helpful than are cardinal directions. The effect of the layout and organization of a psychotherapists’ room on an individual’s willingness to disclose personal information to the perceived therapist was examined in this study. Using a within-subjects design, 88 participants were provided images and questions in which they were to make their own judgments regarding their comfort level in disclosing information to a therapist simply based on the office environment. The answers provided by the participants led to the definition of 4 factors titled: Natural Lighting & Warmth,View of Nature, Orderliness, and Comfortable Furniture. Results indicated that among the 4 factors, natural lighting and having a generally “warm” room were significantly related to an individual’s likelihood to disclose personal information. 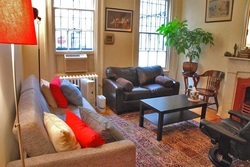 These results are then discussed in terms of choices that benefit both the client and the therapist.